Grand Central Publishing, 9781455572236, 288pp. 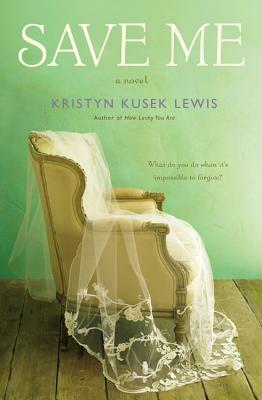 Kristyn Kusek Lewis is the author of How Lucky You Are (5 Spot, 2012). She has an MFA in Creative Writing from Vermont College of Fine Arts, and has worked in magazines for fifteen years. She has written for The New York Times, O: The Oprah Magazine, Real Simple, Glamour, Allure, Good Housekeeping, Self, More, Redbook, and more. "In SAVE ME, Kristyn Kusek Lewis takes what might have been a familiar story and puts it on a different trajectory, to a much more compelling end. It's a book that leaves you thinking about the choices the characters made, and whether or not yours would have been the same."